One of the most important commercial processing apples in Virginia, York Imperial is also the leading apple variety in Pennsylvania. Originating in York, Pennsylvania in the 1800’s on the farm of a Mr. Johnson, York Imperial soon became a favorite of growers for its long-keeping abilities and fine processing qualities. 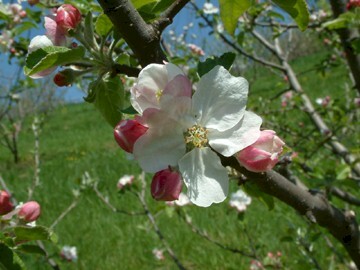 The fruit is medium to large with a distinctive oblong or lopsided shape. The skin is light yellow in color with stripes of brownish-red. The coarse yellow flesh is firm and juicy with a mild tartness to the flavor. 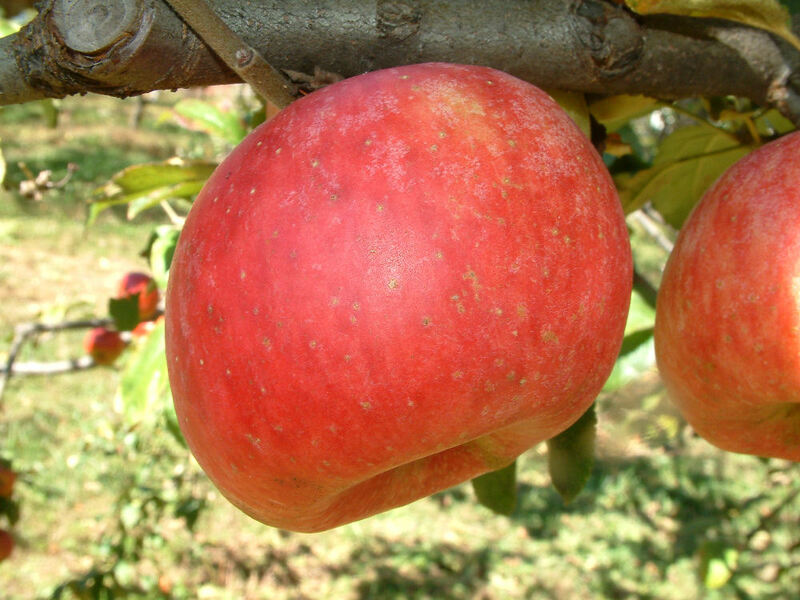 Ripens late fall (November – December) and hangs well on the tree into late winter. My great grandfather patten the York imperial cherry tree. Do you know where I could find them? Do u ship York apples to 36106? We’re sorry, Tom, but we do not ship apples. Sorry we’re unable to help with your request. We’re sorry but we do not ship apples.